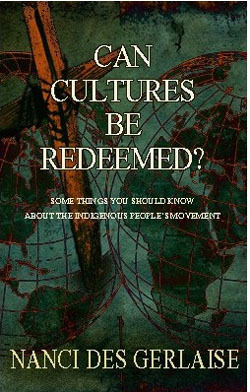 [Indigenous People's Movement] leaders teach that God has been redeeming cultures and that He placed in all cultures a way for men to have a relationship with God outside of the Gospel. In other words, God allows different people to come to His Heaven by paths other than Jesus. Great Heresy! A growing trend in the evangelical church is what is referred to as 'redeeming the cultures' or 'Cultural Identification.' Essentially, it is the idea that God created cultures and has no desire for anyone to leave their cultural practices but can incorporate their belief in Jesus into their already existing culture. Did you know that Roman Catholic priests taught their pagan subjects that they did not need to reject the gods and the goddesses they had worshipped all their live; they only had to change their names to Biblical names! Old and very evil heresy. Deuteronomy 18:14 tells us not to 'follow the abominations of those nations'.